Children are exposed to the digital world earlier and earlier these days, and there does not seem to be any stopping them to boot. Well, if you can’t beat ‘em, join ‘em, right? Parents will nod in agreement, but then as parents, at the very least you have the responsibility to ensure that your child’s well being is taken care of – especially when he or she happens to plug in a pair of headphones most of the time when using the smartphone or tablet, mainly to enjoy whatever audio or music that is being played back. Well, Puro Sound Labs knows that such a habit could see the risk of cranking up the volume level to unbelievably high levels – which is why they intend to stop the potential rot before it ever starts with the first ever studio-grade Bluetooth Kids Wireless headphones. Known as the Puro Sound Labs BT2200 Bluetooth headphones, these happen to boast of built-in volume optimization. We are talking about enjoying premium quality, hearing-healthy, contemporary designed on-ear and over-ear headphone monitors without a price level that will break the bank – after all, consumers are a whole lot cost conscious these days. 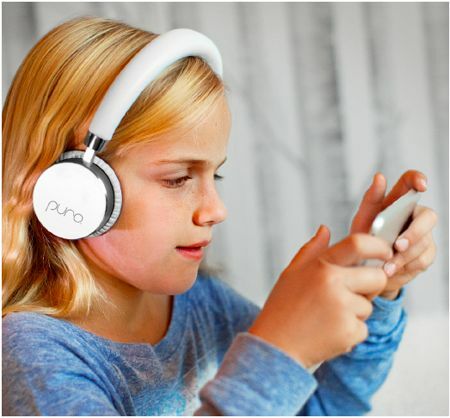 The Puro Sound Labs BT2200 Bluetooth headphones was specially created for children, not to mention designed with the health and safety of a child as a top priority. This marks an industry milestone, since it is the first ever and only studio-grade Bluetooth headphones on the market made especially for children, and it boasts of volume limiting ear protection to boot. After all, research has shown that volume levels over 85 decibels (dB) have been known to cause hearing loss over time, while the special headphone design would protect children’s ears, at the same time delivering studio-grade sound – which means quality is not compromised. In fact, as an added incentive, Puro Sound has decided to donate a portion of every sale of all Puro Sound products through 2015 to the Hearing Health Foundation.